The Dwarven Hold of Valdisfjell, deep beneath the Old Mountain, has a long and glorious history. A subterranean river rushes past the River Gate Mine which the Dwarves use to power their machinery. 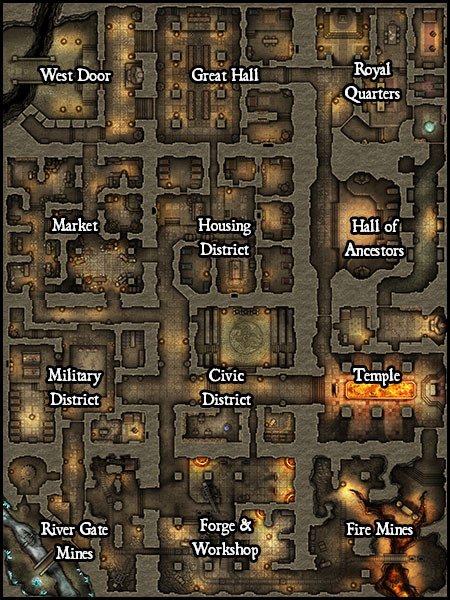 Contents: A 20 x 20 battlemap depiciting the River Gate Mines of a Dwarven Hold. 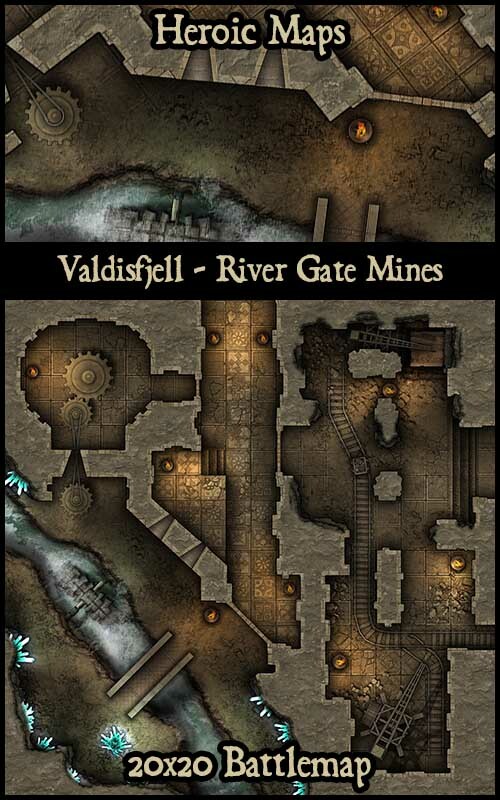 A waterwheel and mechanism is powered by the river that flows past the entrance to the mines, the map builds with others in the Valdisfjell range to make a large Dwarven Hold. How would I expand this? What other maps actually go with it?